Oftentimes, the availability of tea bags is a commodity that is overlooked. The history of the tea bag begins back in 1903 when a coffee and tea merchant by the name of Thomas Sullivan decided to ship his tea samples wide and far using small hand-sewn muslin bags. Initially, these bags were not meant to be placed in water, though many of his customers thought that these bags were meant to be used in the same way as metal infusers were used which gave birth to the initial idea of tea bags. Since then, the tea bag has changed little in appearance, though there are some variations. Some tea bags are in pillow form, meaning they have no tag or string attached. Others are square or even pyramid in shape as tea marketers attempted to seek out the best tea bag design. Many tea bags today are heat sealed; some are even bleached in chlorine for a more favorable appearance. Unfortunately, bleaching tea bags also comes with unwanted health concerns, which is why there are many companies today that proudly claim themselves as bleach-free tea companies. There are many people who are unaware of the dangers behind using bleached tea bags. When tea bags are bleached, a toxin known as dioxin lingers on the bag. When the tea bag is steeped, this chemical seeps into the hot water and enters our bodies when the tea is ingested. Once dioxin has entered the body, it is absorbed in the fat cells where it can remain for up to 11 years. Over time, dioxin builds up and affects the body negatively. High amounts of dioxin have been shown to have the potential to disrupt the hormonal system, cause behavioral disorders and pose an increased risk of cancer. Even the smallest amounts of dioxin have been shown to hold negative effects on the body. Dioxin isn’t the only dangerous chemical that can be found in bleached tea bags. Traces of unwanted chemicals such as epichlorohydrin and others have also been found in seemingly harmless tea pouches. For this reason, many companies are turning to bleach-free alternatives so as to avoid being introduced to unwanted and harmful chemicals. If you’re looking to get the best out of your teas, it is important to be certain that the tea bags you are using come from a source dedicated to using unbleached, toxin-free methods of packaging their tea. 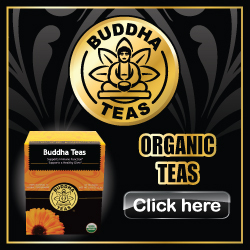 Many companies will boldly state on their box or website their use of unbleached tea bags, as this is a far healthier alternative for many people to turn to. You’ll find tea drinking to be a far more satisfying experience when you know you are enjoying the benefits of your tea without taking the risk of being exposed to chemicals or toxins.